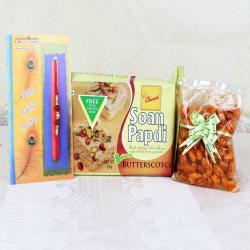 A perfect gift for your loved one to celebrate the eve of Raksha Bandhan has a Ganesha mukh diamond puja thali along with Rudraksh Rakhi. 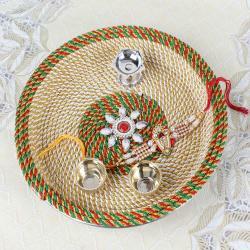 The look of the thali is classy and has a divine touch in it. 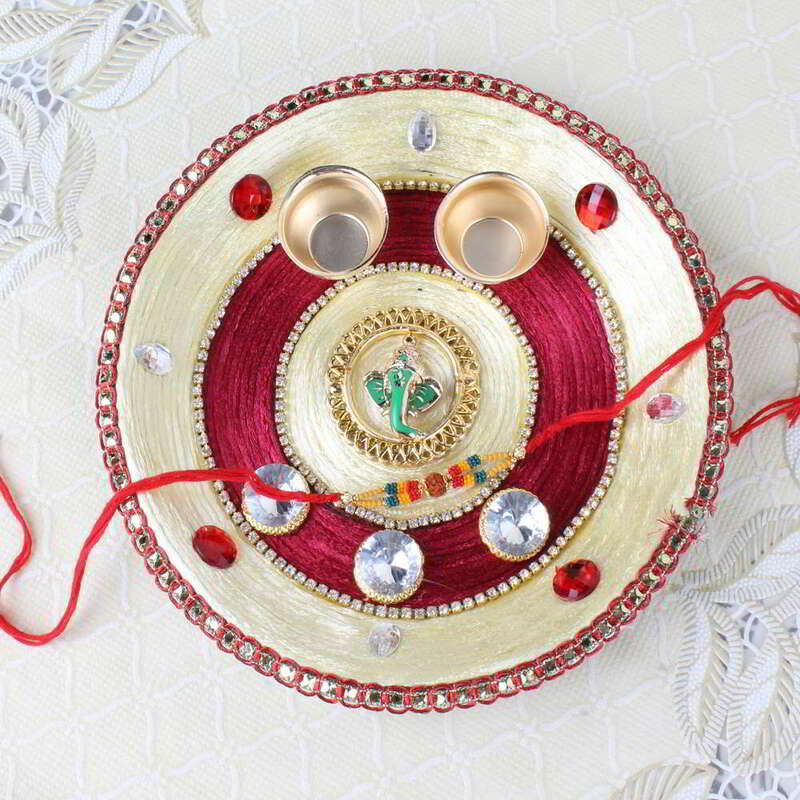 Thali decorated with multicolored thread looks cool with the diamonds and other stones. 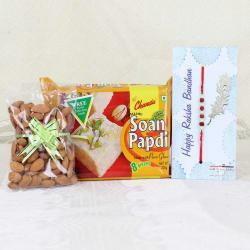 This is the perfect gift which will be treasured for the entire life as a token of your love. 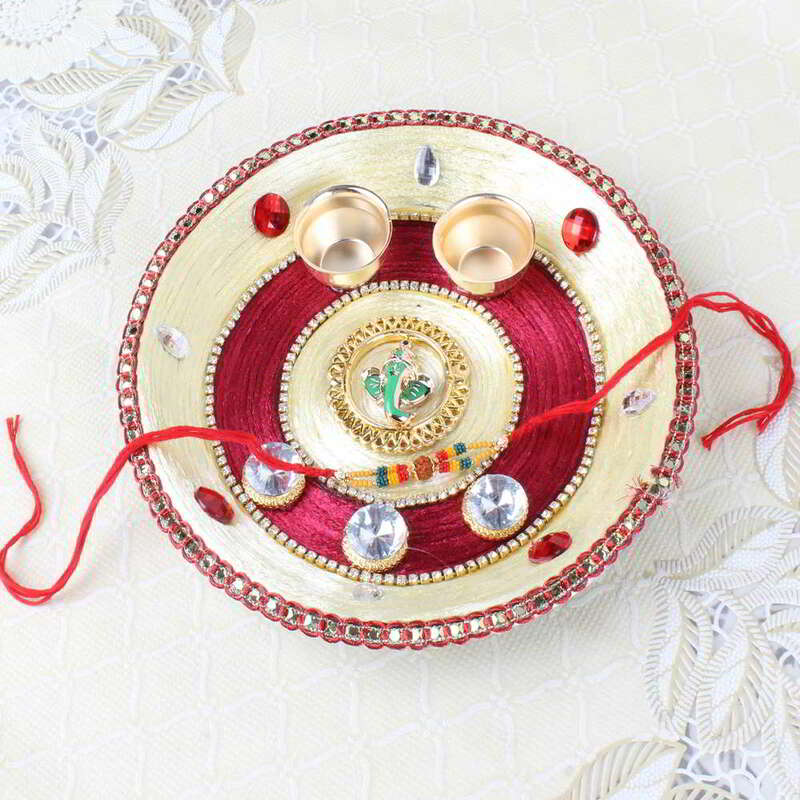 Rudraksh Rakhi threaded with multicolored stones looks amazing and will give a spark to the celebration. This is the perfect combo which will strengthen the brother sister bond for entire life. 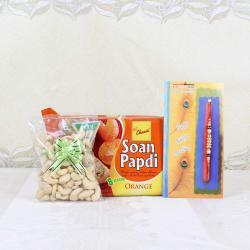 Product Consists: Ganesha Mukh Diamond Designer Puja Thali along with Rudraksh Rakhi.